I think he's doing one of those Vulcan mind things to make it disappear. If not your comment is meaningless. As most marketing endeavours on watches are about "stories to tell" (how expensive these stories can become, from whichever angle you want to look at them), an imagination about how horrible a watch can be to wear is as meaningful as how useful a Richard Mille watch is supposed to be while driving a car around a track at very high speed. 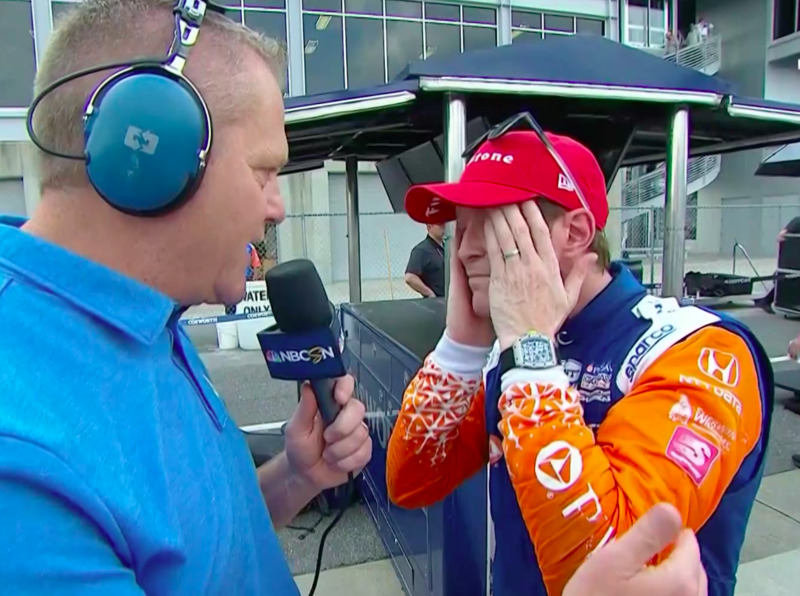 No way a professional (or even a good amateur) driver would wear a watch under their fire suit. "The Brazilian driver is one of the most experienced on the Formula 1 circuit. He started his career in motor sport's flagship competition in 2002, and two years later he had joined the Richard Mille family. The brand's first 'historic' partner has started every Grand Prix since 2004 with an RM watch on his wrist. In this time, he has won 11 races, earning 16 pole positions, and finished runner-up in the drivers' world championship in 2008 at the wheel of a Ferrari. Felipe drove for Williams until 2016 after which he decided it was time to leave a very impressive career in Formula 1. As a driver who excels in setting up his cars for races, he is, quite logically, very interested in the technical solutions used in Richard Mille watches. Many Richard Mille watches have worn Felipe's name and the development of the brand has benefited greatly from his input whilst wearing our watches in all his Grand Prix racing." I guess it is possible that other drivers wear watches while working.